If a dog is man’s best friend, could that best friend also be our dancing partner, asked Jess Bassano. When Janette Wilson decided to teach her dogs to dance eight years ago, it was to bring joy to the lives of the elderly. 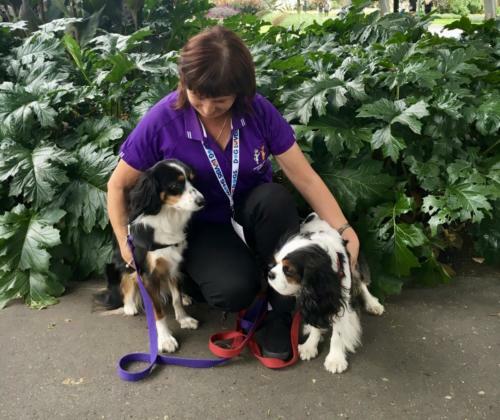 Ms Wilson and her canine companion, a Cavalier King Charles Spaniel called Bingo, were volunteering in a pet therapy program, used to bring cheer to elderly residents, helping them relax and engage social skills. The two travelled between aged-care facilities where Bingo would turn on a show, interacting with residents, many wheelchair-bound, and performing a variety of basic obedience tricks. But Ms Wilson wanted to take the pair’s repertoire to a higher level and she reckoned on Bingo being up for the challenge. “He is not afraid of anything; he loves to be the centre of attention,” said Ms Wilson, a retired scientist who spent three decades working in the pharmaceutical and medical industries. For Ms Wilson, learning to dance with her dogs (she also has a Border collie) proved a real change of pace and “much harder than it looks!” But when she saw how Bingo’s dancing lit up the faces of his elderly audience, she knew their hard work had been worth it. The experience had been filled with heart-warming moments, but none more uplifting than when “dementia patients smiled or reached out to the dogs,” she said. In a sense, Bingo’s dancing tutelage happened by chance. Having stumbled across an advertisement for the Melbourne Canine Freestyle Club, 61-year-old Ms Wilson enrolled thinking it was an opportunity for Bingo to expand his tricks routine. But much like the group’s other 11 members, once the pair took their first steps, they were hooked. “Turns out I really liked it,” said Ms Wilson, seemingly surprised at her own adaptability. “You can have a laugh. Most people have got two left feet; you don’t have to be a dancer. 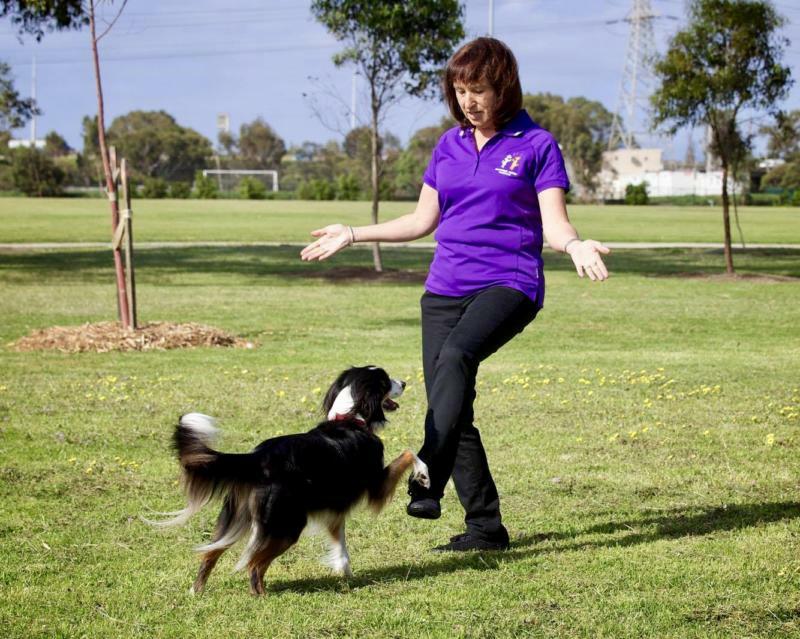 The club’s leading spirit is founder Sue Cordwell, the dance coach and competition adjudicator, whose passion for dancing with her two miniature poodles, two Border collies and Pomeranian inspired her to teach others. Years earlier, Ms Cordwell saw a video demonstration of the sport and was captivated. “We just sat there and went, ‘Oh, my God’!” she recalled. The footage was of the UK’s Mary Ray, a legend among canine handlers. At the time, dancing with dogs was not considered a competitive sport in Australia, but Ms Cordwell didn’t let that deter her from taking it up as a hobby. She began teaching her canines to move rhythmically and obediently to music, before joining a small group of amateur dog dancers for a bit of fun. As interest in dancing with canines grew, Ms Cordwell decided to combine her passion for teaching and dancing with dogs to establish the Melbourne club. Years went by and the sport’s popularity continued to grow. 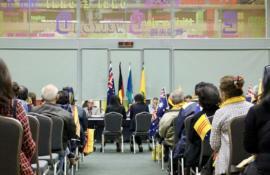 Then, in 2009, the Australian National Kennel Council approved dancing with dogs as a legitimate national sport, allowing competitors to vie for the championship title. Ms Wilson said many handlers travelled the country believing their dog has what it takes to claim the crown, but she was not one of them. 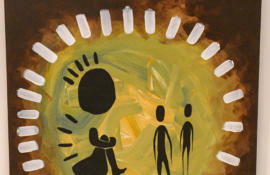 “There is an X-factor [in competitions],” explained Ms Cordwell. “But it’s more the handler. They [need to be] creative with the moves and the kinds of things they do. According to Ms Cordwell, a dog’s personality could affect how it performed on show day. Both women agreed that the dancers who came out on top were those able to nail their obedience tricks, keep in time with the music, and perform for the panel of judges. All while displaying a sense of humour. “It is a lighter relationship than a lot of other dog sports, because you’re poncing around to music, being a goose in front of everybody,” laughed Ms Wilson. 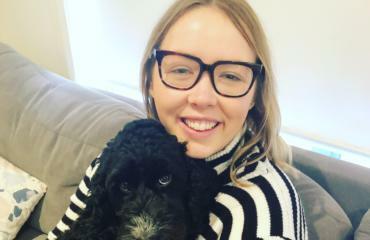 Ms Wilson said she’d seen the impact the dancing could actually have on a dog when teaching her rescued Border collie pup Scarlette, which was four months-old when taken in by Ms Wilson. On leaving the shelter, the dog had suffered from high anxiety and was fearful around men. Indeed, so complete has been the dog’s transformation that she is on her way to becoming an Australian champion in heelwork, or ‘heelwork to music’, one of the two classes of dog dancing. The other is freestyle. Both require time and commitment to master, but the rules of heelwork specify that dogs remain loyally by their owner’s heel for the majority of their routine. 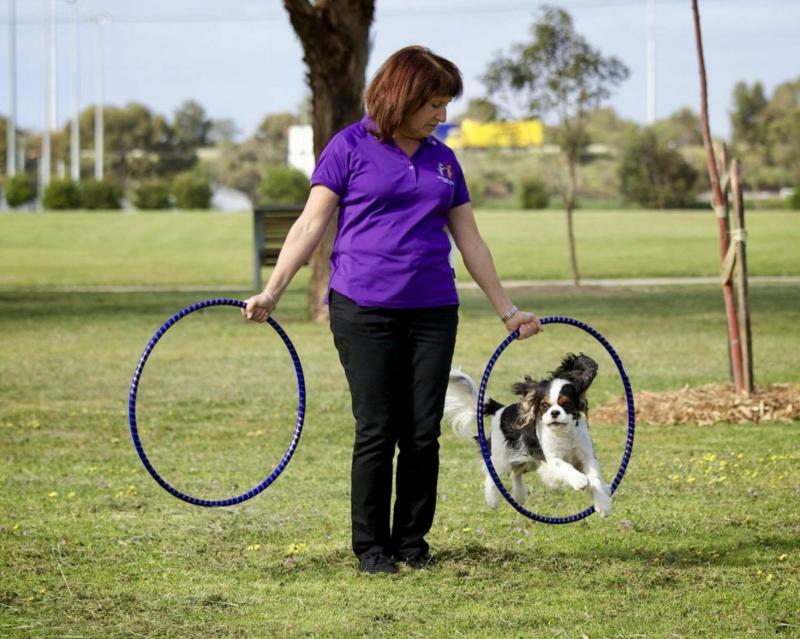 Freestyle, on the other hand, allows canine and human to move freely, performing a variety of tricks. Ms Wilson said that three or four times a week she would move the loungeroom furniture to make space for Bingo and Scarlette to rehearse. The training was light-hearted, filled with dog treats, and a great way for Ms Wilson to work out. Ms Wilson said that for Scarlette the dancing had been more than just a place to put her focus. Scarlette loved music. The Border collie grew animated when she recognised a song on the radio.The handler acknowledged that there was little empirical evidence of dogs appreciating music — “it’s all anecdotal,” she said. But Ms Wilson added that she had watched a pup that was once afraid of sounds grow into a dog that thrived on music. The change in Scarlette allowed her to join Bingo and Ms Wilson on their circuit of retirement home visits. When the residents of the aged-care facilities saw the dogs, their faces lit up. In the dementia unit, many couldn’t remember Ms Wilson’s name — she was forced to reintroduce herself each week. But when they saw Scarlette, their memories stirred. “It brings back the memories of their own dogs. And I can’t believe the number of people who say, ‘This one’s a Border collie’,” said Ms Wilson.